Robert Langdon receives an invitation to give a lecture in Washington, DC, but discovers an empty chamber when he arrives at the venue. He quickly learns that he's been summoned for his knowledge rather than his oratory skills and that his friend Peter Solomon has been abducted. To save his life, Langdon must follow a set of clues and uncover a treasure hidden somewhere in the nation's capitol. 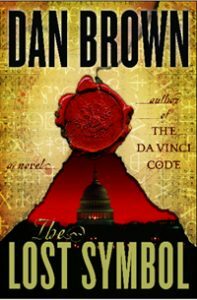 If you like The Lost Symbol by Dan Brown, you may also like the following titles. A rip-roaring archaeological thriller about the search for the lost tomb of Alexander the Great. A two-hundred-year-old code devised by Thomas Jefferson becomes the key to a present-day conspiracy at the highest levels of Washington and the power elite of Palm Beach. In present day Manhattan, four masked horsemen dressed as Templar Knights emerge from Central Park and ride up the Fifth Avenue steps of the Metropolitan Museum of Art during the blacktie opening of a Treasures of the Vatican exhibit. Storming through the crowds, the horsemen brutally attack anyone standing between them and their prize. Attending the gala, archaeologist Tess Chaykin watches in silent terror as the leader of the horsemen hones in on one piece in particular, a strange geared device. An ivy league murder, a mysterious coded manuscript, and the secrets of a Renaissance prince collide - a brilliant work of fiction that weaves together suspense and scholarship, high art and unimaginable treachery. View more suggestions for The Lost Symbol.